Werner Voss, Germany's fourth ranking ace was born 13 April 1897 in Krefeld Germany. 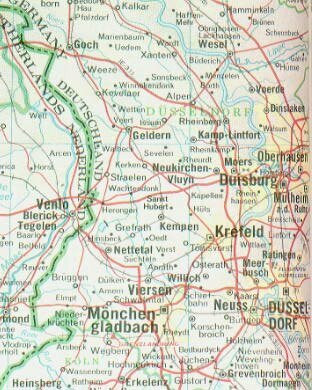 Krefeld is a located in Northwestern Germany, along the Rhine River, just North of Dusseldorf and South of Duisburg. It is approximately 30 Km or 19 miles from the Netherlands. While it has been reported that he was Jewish, official records claim that he was Lutheran. There is the possibility that either one of his parents or possibly a grandparent was Jewish, but there is no hard evidence to suggest this. The rumors that he was Jewish are from an unsubstantiated claim made by Arch Whitehouse. All sources agree that he came from a working class background. Most sources say his father owned or managed a commercial dye factory. On 16 November, 1914, Voss joined the Westphalian Hussaren (Cavalry) Regiment Nr. 11. At the time he was just seventeen. His career in the Cavalry in not well known. The 11th Hussars were stationed on the Eastern Front. Within three month, Voss was promoted to Gefreiter and was awarded the Iron Cross, Second Class (EK2). By May, 1915 he held the rank of Unteroffizer. Because of his rapid climb in the ranks, we can assume that Voss was as good in the Hussars as he would later prove to be in the air. 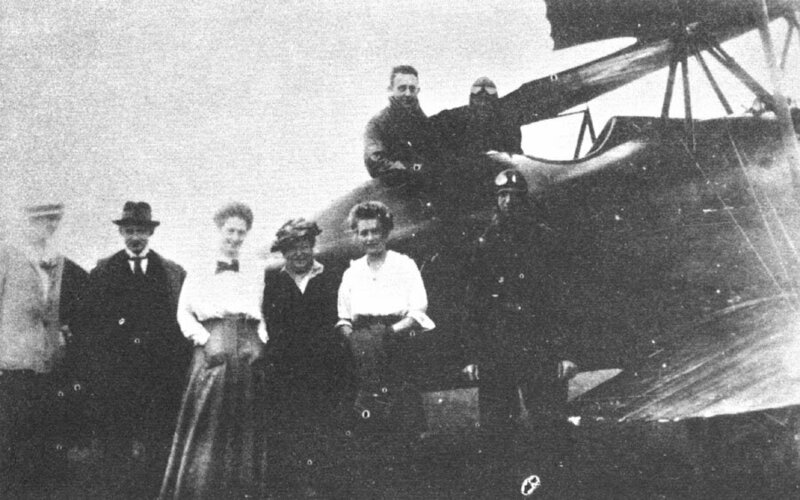 Voss tired of the misery and the mud associated with Cavalry and volunteered for Flight School in August 1915. At that time, the air wing of the Imperial German Army was often seen as an extension of the cavalry so this was a more or less natural move on Voss's part. He trained with Flieger Ersatz Abteilung No.7 at Köln (Cologne). After completing training he became an instructor with FEA7 until February, 1916. On 2 March 1916, he was promoted to Vizefeldwebel and assigned to Kampsgeschwader 4 and the 20th Kampfstaffel. Originally Voss flew as an observer but on 28 May he finally received his Pilots badge and he began his life as a combat pilot. a Few months later, on 9 September, he was commissioned a Leutnant. 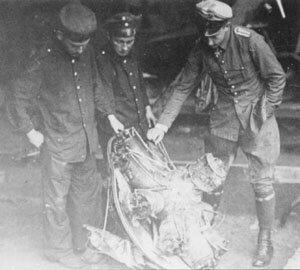 While Voss proved to be an excellent pilot, he was not happy flying two seat observation planes and requested transfer to Jagdstaffel in hopes of becoming a fighter pilot. He was temporarily assigned to Jasta 2 (Boelke) on 21 November 1916. He quickly impressed his fellow fighter pilots. His first confirmed kill came just five days after joining the Jasta. It was a Nieuport17 Scout plane. To prove this was no fluke, Voss went up a second time that day and shot down an F.E.2b! He was quickly transferred to the Jasta 2 on a permanent basis. While with Jasta 2, Voss managed to shoot down an impressive 28 enemy aircraft, making him the third ranking ace for that Jasta at the War's end. It was here that Manfred von Richthofen, (The Red Baron) and Voss first crossed paths. 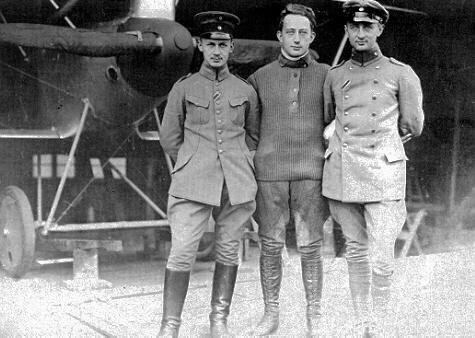 Von Richthofen was impressed with the young flyer and on numerous occasions admitted that Voss was his chief competitor. Upon von Richthofen's promotion to OberLeutnant, he was transferred from Jasta 2 to the newly formed Jagdgeschwader 1. JG1 was the formation of an elite German fighter squadron. which consisted of four Jastas. (Jasta, 4, 6, 10, 11).